If you are a resident in the market for affordable car insurance in Westchase area, Coleman Insurance Agency can help you find an affordable auto insurance quote from our nine A-rated companies. We are located just minutes away in Dunedin and can assist you in finding a policy tailored to meet your specific needs. Our knowledgeable and local agency will guide you through the process, from picking the deductible right for you to making sure you get any discounts that apply to your situation. We will help make sure that you make the right choices and get the car insurance you need at an affordable price. To the Coleman Insurance Agency, you are not just a policy number. Our clients come first and we will work hard to make sure you are satisfied with your Westchase car insurance experience. We know that our success is based solely on you being satisfied with the way we treat you. We like to show you we appreciate your business by making sure to give you personal attention and exceptional customer service you deserve. 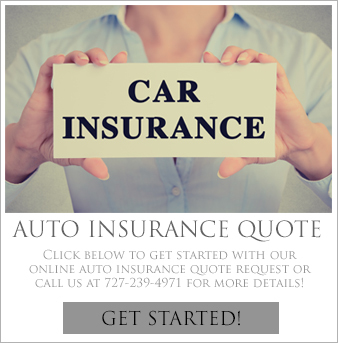 If you dread having to shop for auto insurance in Westchase, do yourself a favor and call us for hassle-free auto insurance quotes. We will go out of our way to make sure that you get an easy and affordable car insurance quote fast. Our friendly agents know you are busy and will work hard to make getting a car insurance quote a hassle free experience. Buying a vehicle is a substantial investment and you need to know that it is safeguarded with the right type of insurance policy. With the help and knowledge of our experienced insurance specialists, you can find the correct policy and coverage with a price within your budget. No matter if you need full coverage for a newer model or if you want basic coverage for an older one, Coleman Insurance Agency will make sure you get the right policy at a price you can afford. Because we are a full service auto insurance agency, we can meet your personal and commercial car insurance needs. The size of your company does not matter. We can offer you commercial auto insurance quotes for one vehicle or a whole fleet. Call Coleman Insurance Agency at 727-441-9911 today so you can feel confident that you are doing business with a well-established and reputable Westchase auto insurance agency that appreciates your business.